Child care is one of the most important decisions for any family to make, and parents must obviously trust and feel comfortable with the person who will be caring for their children. All working parents need the ability to focus on their job and not have child-care issues interfere with their careers. There are typically two choices for the working parent: daycare or an in-home provider. And if you’ve decided to go the in-home route, there are then two main ways to find a nanny, through an agency or a website. There are significant differences between the two methods, and it depends on what you are most comfortable with. Find a nanny through the Mommybites job board. A nanny agency typically offers only mature, professional nannies, while most websites feature nannies with a wider range of experience levels. Agencies ensure the nannies they’re placing have multiple years of experience with a verifiable track record of employment. 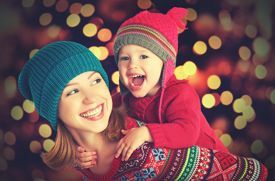 These nannies also generally have long-term positions on their resumes; a potential provider with multiple short-term positions is less likely to last for the long term. An agency will streamline the process by only sending you candidates that match for your job duties, hours, and pay. Websites typically offer the ability to find not just full-time nannies, but also part-time and occasional babysitters, so you need to ensure that the candidates you are considering are available for the hours you need and seeking the type of position you are offering. Finding a nanny through a website generally takes a significant time investment on your part. You would post your position on the site, and then go through all of the responses to your posting, which may be numerous and include candidates who are unqualified, not legally permitted to work in the U.S., or without sufficient experience. There are no restrictions on who can post or reply to ads on most websites. Agencies typically only consider candidates’ adult child-care experiences, and do not consider working for friends, relatives or family members as valid professional references. If you’ve decided to use an agency, you should confirm that any agency with which you might work is licensed, insured and bonded. Any agency that is licensed will screen all the potential providers and ensure that they are legally allowed to work, fluent in English, and have verifiable references. Agencies will also conduct background checks, which most websites also offer for an additional fee, and agencies will provide DMV records for candidates. Once you find a provider that you want to hire, an agency can assist with payroll (as do some websites as well), clearly defining the job terms, and addressing specifics like holidays and vacation pay prior to when the position starts, helping to avoid any issues or misunderstandings in the future. Most agencies will also offer some type of guarantee that provides for a replacement should any issues arise with the person that is initially hired. With a website hire, the family would need to start the process all over again should the nanny quit. Agencies are more costly, usually basing the fee on a percentage of the nanny’ salary, but they also provide a significant amount of service and assistance. The website method might be best for those who want to avoid the extra cost and/or want to be hands on throughout the experience and have the time to do the necessary work. The most important part is to find the right person for your family and that may be through an agency or a website. You will know when you have found the right person for you and your family. Find nanny, babysitter, and au pair services near you. Get the best local events for kids sent straight to your in-box. Tom Murtagh is the owner of Absolute Best Care in Syosset, which he runs together with his wife Moira. Absolute Best Care is the largest domestic placement agency on Long Island that places nannies, housekeepers and baby nurses. Born and raised on Long Island, Tom previously worked 25 years for a fortune 500 company. Tom lives in Syosset with his wife and two children and enjoys being part of the local business community. Tom sponsors local sports teams and supports veteran causes and is a member of the Syosset Chamber of Commerce.